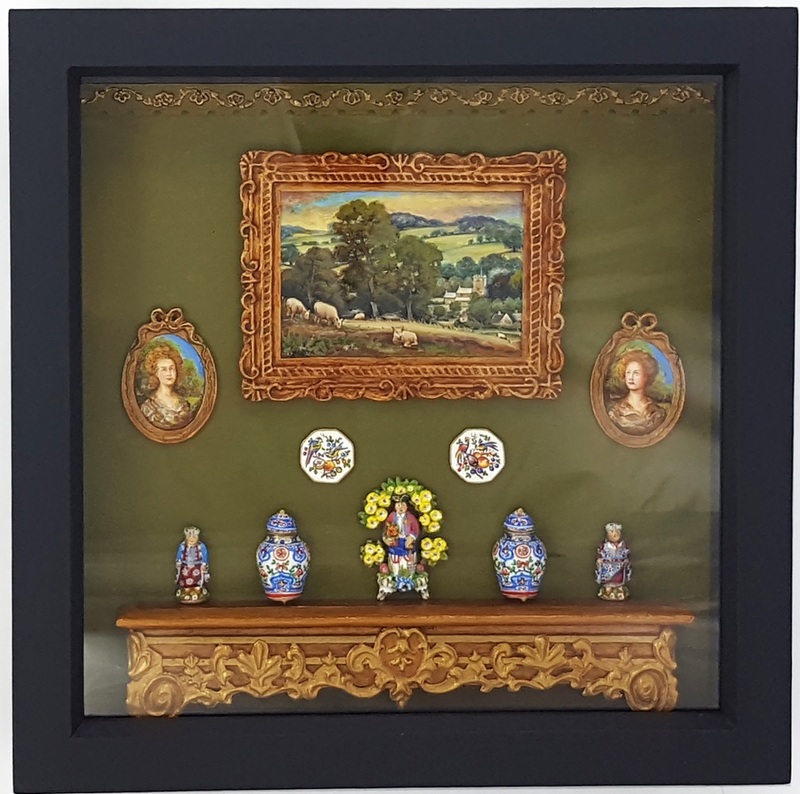 Christopher has experience as a ceramic painter with The Royal Worcester Porcelain Company, after which his interest took him into the world of miniatures. He has also exhibited works in The Royal Society of Miniature Painters. The work is three dimensional and all handcrafted/painted measuring between 8" and 12" square. 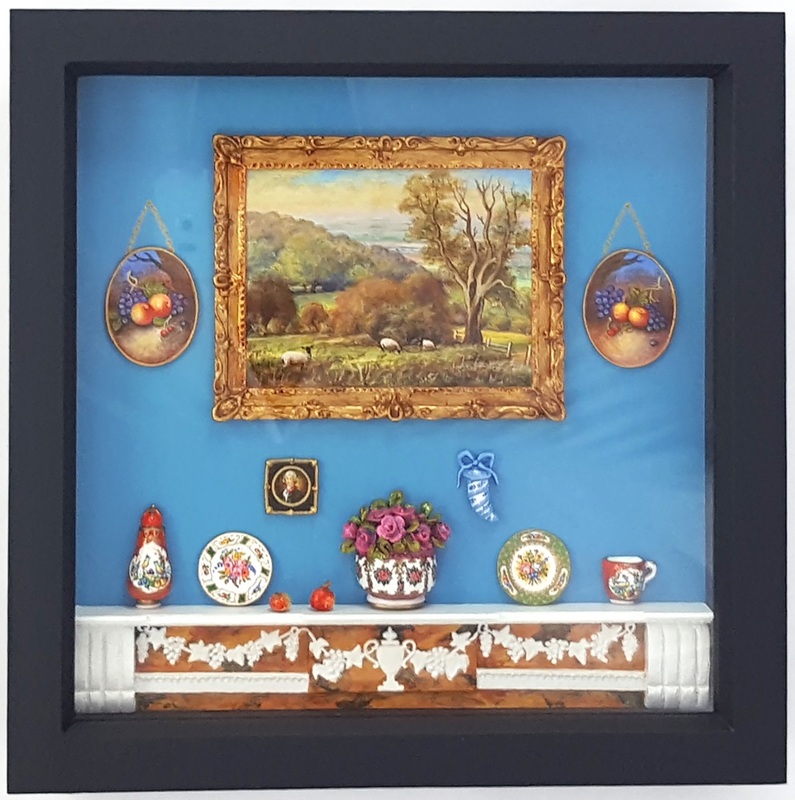 They do need to be seen in person to appreciate the delicate detail from objects on a mantelpiece to paintings on the wall, everything is hand made and painted by Christopher.....a room in minature...in a box frame!